She gained the title of Princesse de Luxembourg. Amelie Prinzessin von Urach was born on 6 April 1949 at Tübingen, GermanyG.1 She is the daughter of Eberhard Prinz von Urach and Iniga Anne Margarete Wilhelmine Luise Prinzessin von Thurn und Taxis.1 She married Curt-Hildebrand von Einsiedel in 1974 at Aufkirchen, GermanyG. She gained the title of Gräfin von Württemberg.1 She gained the title of Prinzessin von Urach.1 Her married name became von Einsiedel. [S45] Marcellus Donald R. von Redlich, Pedigrees of Some of the Emperor Charlemagne's Descendants, volume I (1941; reprint, Baltimore, Maryland, U.S.A.: Genealogical Publishing Company, 2002), page 80. Hereinafter cited as Pedigrees of Emperor Charlemagne, I. [S12] C. Arnold McNaughton, The Book of Kings, volume 1, page 356. 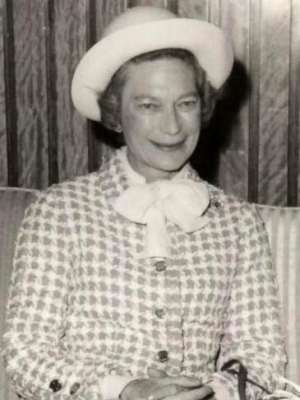 Marie Gabriele Adelgunde Wilhelmine Louise de Bourbon, Princesse de Luxembourg was born on 2 August 1925 at Schloss Berg, Colmer-Berg, LuxemburgG.2 She is the daughter of Felice Maria Vincenzo di Borbone, Principe di Parma and Charlotte von Nassau-Weilburg, Grand-Duchesse de Luxembourg.2 She married Knud Johan Ludvig Graf von Holstein-Ledreborg on 6 November 1951 at Schloss Colmar-BergG. Charles Frederic Louis Guillaume Marie de Bourbon, Prince de Luxembourg was born on 7 August 1927.2 He was the son of Felice Maria Vincenzo di Borbone, Principe di Parma and Charlotte von Nassau-Weilburg, Grand-Duchesse de Luxembourg.3 He married Joan Dillon, daughter of Clarence Douglas Dillon and Phyllis C. Ellsworth, on 1 March 1967.2 He died on 26 July 1977 at age 49. [S12] C. Arnold McNaughton, The Book of Kings, volume 1, page 109. Alix Marie de Bourbon, Princesse de Luxembourg was born on 24 August 1929 at Colmar-Berg, LuxemburgG. She was the daughter of Felice Maria Vincenzo di Borbone, Principe di Parma and Charlotte von Nassau-Weilburg, Grand-Duchesse de Luxembourg.2 She married Antoine de Ligne, 13th Prince de Ligne, son of Eugene de Ligne, 11th Prince de Ligne and Philippine de Noailles, on 17 August 1950 at LuxemburgG.3 She died on 11 February 2019 at age 89 at Château de Beloeil, Belgium. [S213] Unknown author, "unknown article title," European Royal History Journal: volume XLVII, page 19-22. [S213] Unknown author, "unknown article title," European Royal History Journal: volume 8.1, page 4. [S12] C. Arnold McNaughton, The Book of Kings, volume 1, page 108. [S213] "Unknown short article title", volume 8.1, page 5. She gained the title of Princesse Marie-Astrid de Luxembourg.1 She was given the name of Marie-Astrid Liliane Charlotte Leopoldine Wilhelmine Ingeborg Antonia Elisabeth Anne Alberte at birth. She gained the title of Principessa Maria-Astrid di Parma.